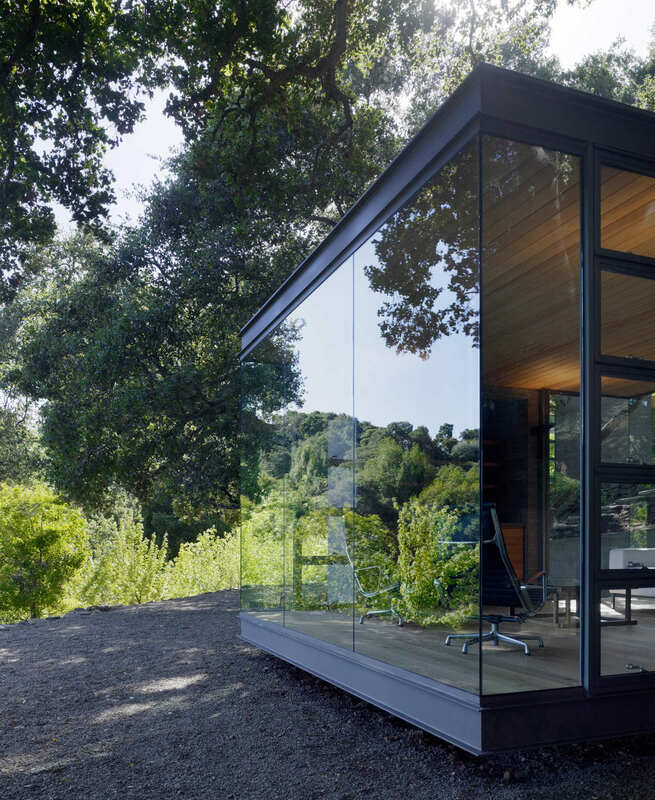 The idea for the tea houses originated years ago, when the owner and his young daughter explored the remote hills surrounding their Silicon Valley home, discovering an idyllic setting below a ridge, under a grove of large California Live Oak trees. 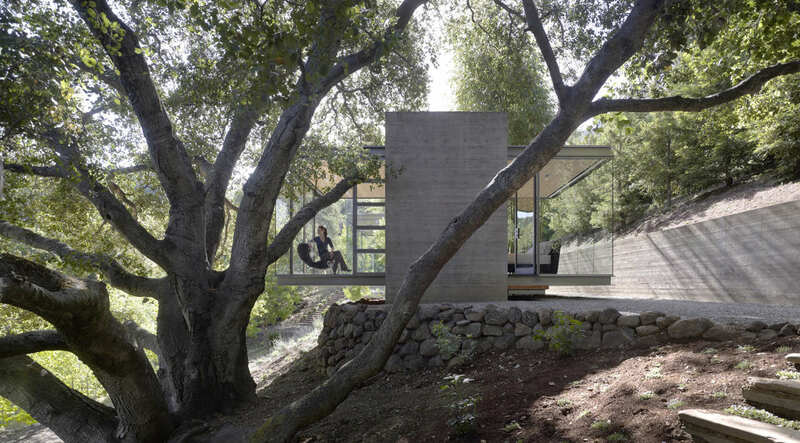 At first, the family thought the setting would be perfect for a tree house. 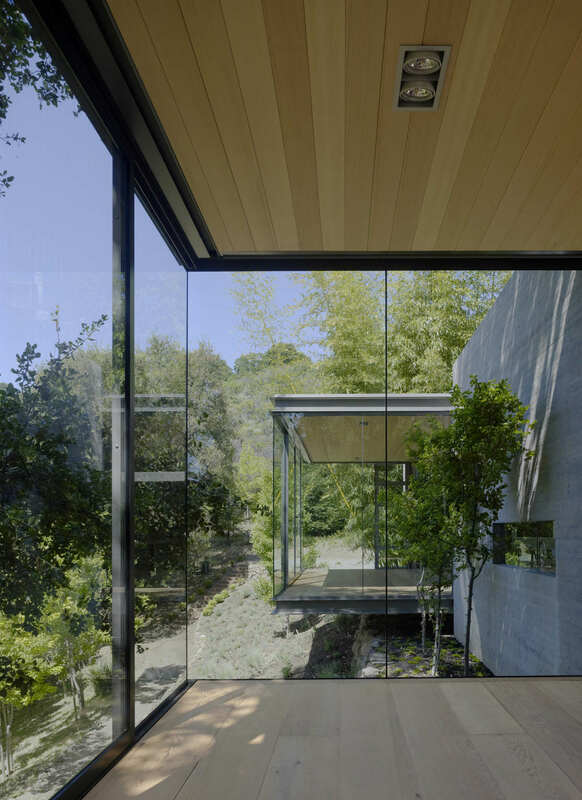 Years later, after the 6000 square foot main house was extensively remodeled, the vision was realized as three individual tea houses, places where one could simply retreat into nature. 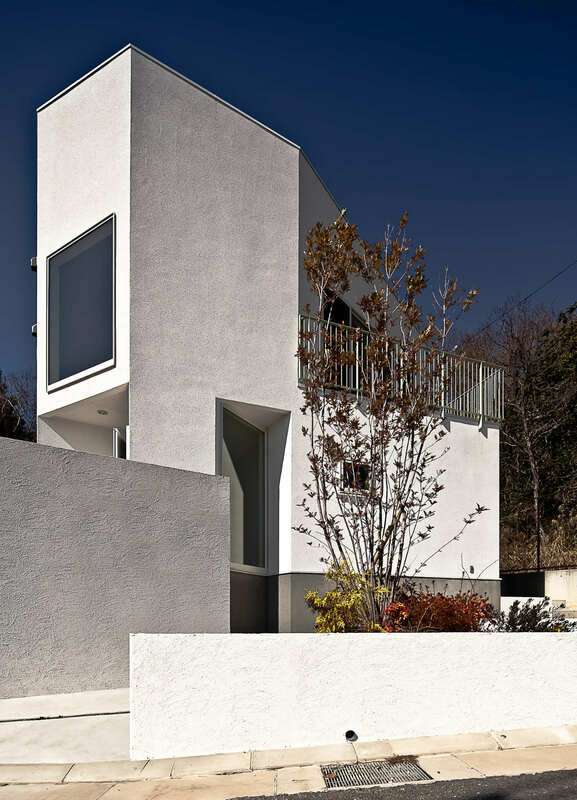 House on two levels of medium size built on a hill on a trapezoidal plot in a suburb in the district of Hyōgo, overlooking Ōsaka bay. Wooden structure, whitewashed walls and sloping pitched roof. 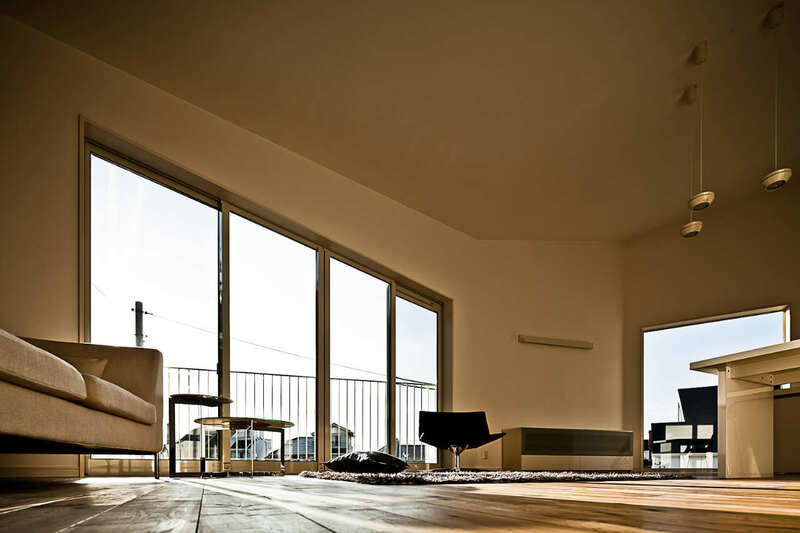 Sleeping area on the ground floor – three bedrooms with bathroom and entrance hall (genkan) – and living area on the first floor – wc, kitchen, patio, dining area, sitting room and Japanese room (washitsu). Formally, in plan, the two longer, non-parallel sides of the plot define two right-angled systems which find their formal connection on the third side, on the road, defining in elevation an incisive, faceted shape. Its diverse surfaces mutate the intensity of the light according to the incidence of the sun. Inside, on the first floor, a large polygonal living room with seven sides possesses the inexact quality of certain medieval Italian piazzas, on whose sides the openings – now windows, now doorways – describe multiple directions of aspect and travel. The irregularity of the geometry, therefore, crystallises in the shape a willingness for dialogue among the parts which make up the whole. 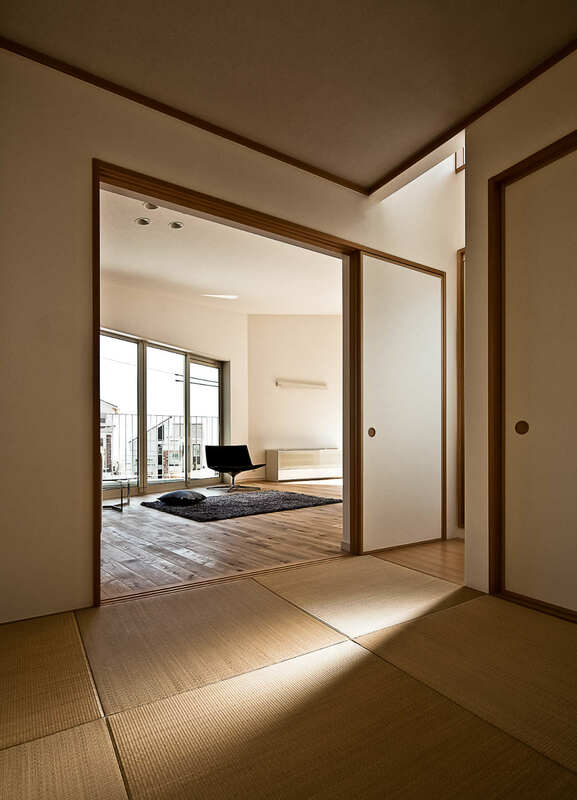 Finally, at the rear, the narrow space created between the kitchen and the Japanese room picks out a small patio, whose windowed sides gather the afternoon diagonals of the sun on the tatami flooring of the Japanese room and reverberating blues inside the kitchen cavity. These two rooms give onto the living room through two low doorways cut into the white sketch of a high wall. Almost rationalised grottoes, these bedrooms made of independent light engage with the large polygonal room: dark and azure in the morning, light and warm in the afternoon. 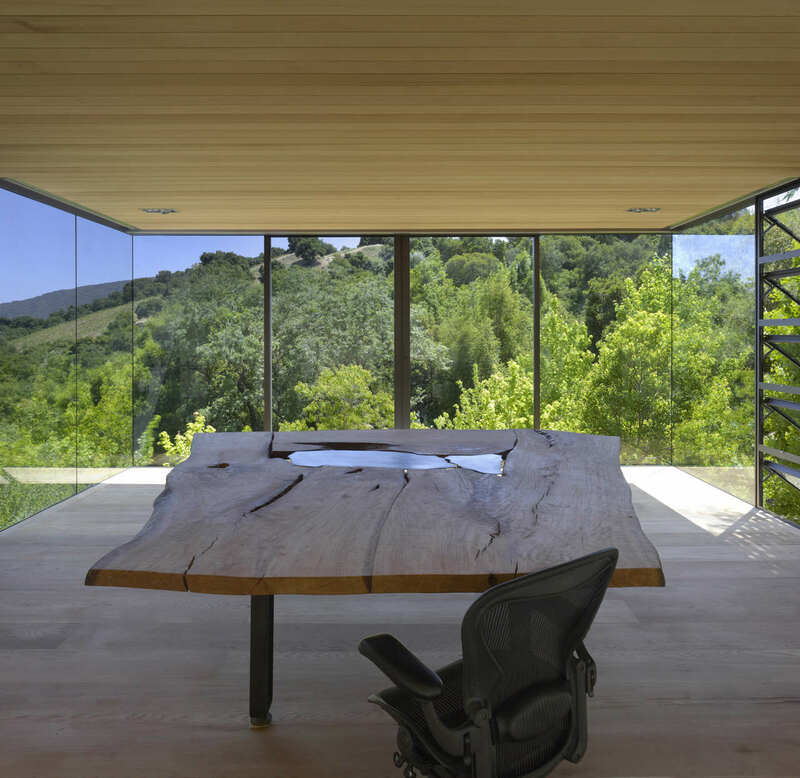 From its inception, Steendyk’s practice has been passionate about creating designs that are sustainable environmentally, functionally and aesthetically. Steendyk is a Brisbane-based design studio that synergises and engages a mixture of design disciplines, including architecture, interior and exhibition design, landscape, planning and urban design, and product design. The practice is interested in transcending architecture as a discipline by resolving projects from an interdisciplinary design perspective. Steendyk is also concerned with the investigation of process and materiality, which has resulted in a number of explorations. Perforated screens for the ‘treehouse’ and Beal residences use a diversity of apertures for sun control, responding to orientation, while a similar idea has been utilized for the Anise lamp. From laser-cut coreten steel, to laser-cut ply and acid-etched brass, each project has presented one idea. The refinement of this singular idea has successfully addressed questions of sustainability, quality and commercial viability. These projects inform the practice’s future explorations into scale and intensity, form and surface, materiality and tectonics. In the ‘treehouse’, the laser-cut corten screens are active, lyrical elements that dance in shape and form while filtering light; a re-interpretation of vernacular timber lattice screens present throughout the historic context of the surrounding suburb. 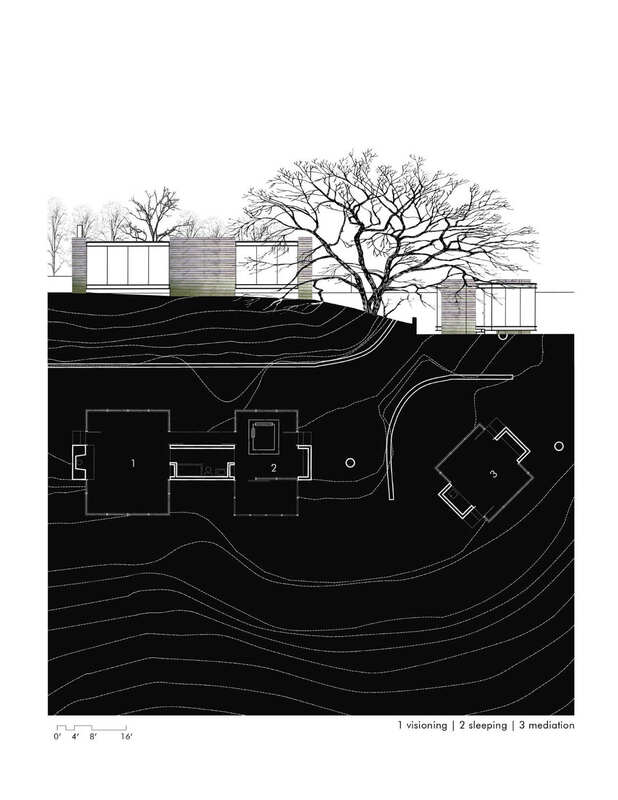 Importantly, with regards to responding to site and location, an authenticity pervades the practice’s approach. To sustain and intensify creativity, Steendyk selects commissions that challenge and thus extend the practice’s design skills. 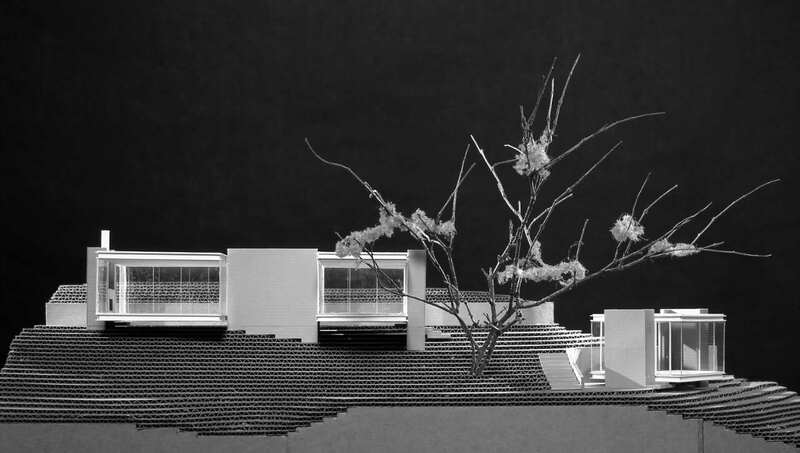 An ordered sense of arrival and spatial release, based around themes of axis, court and framed view, are the design strategies that underpin the architectural practice. Careful rationalisation of materials and light is used to manipulate and distil complex programmes into strong, simple forms; a move towards a higher level of abstraction and refinement. The replanning, refurbishment and extension of this historic late 1800’s worker’s cottage re-engineers the house to accommodate 21st century living requirements. At the core of this sustainable design is the idea that lifestyle, rather than being compromised, can be enhanced when engaging our global responsibility to our environment. Therefore this refurbishment preserves the historic nature of Spring Hill for future generations by complimenting and maintaining the original integrity of the residence. 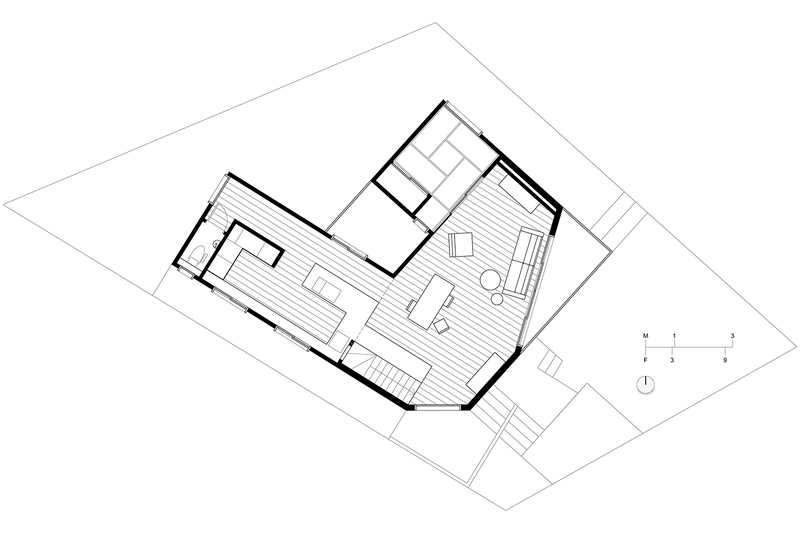 On a tight inner city residential block, separating the building by locating a linked pavilion to the rear of the site creates a courtyard between the two structures and maximises passive solar orientation in an aim to minimise overall energy use. 25,000 litres of precious water is collected, stored, used, reclaimed and recycled, and energy from the sun is harnessed in solar cells and thermal mass for redistribution. This residential type will guide future sustainable refurbishments of the dwindling historic dwellings in inner city, urban areas. 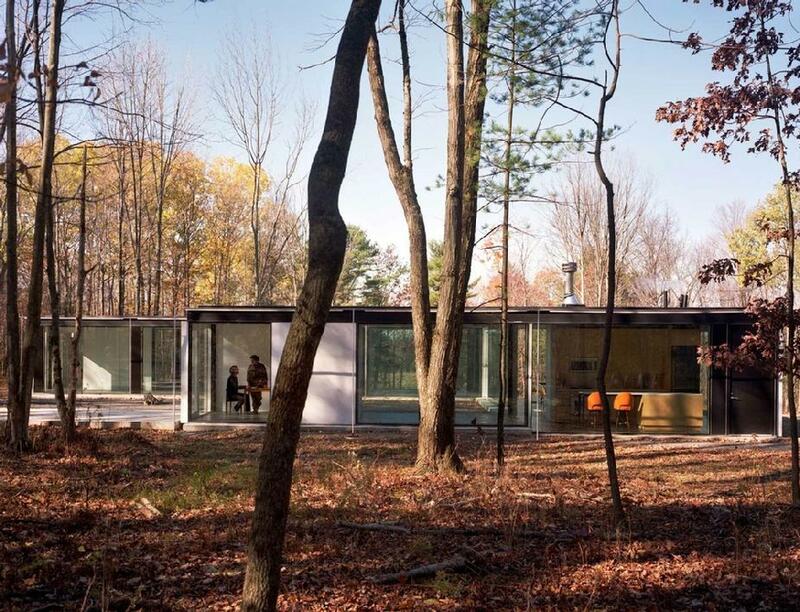 The Coffou Cottage by Brininstool, Kerwin, and Lynch is a 2,800sf residence in Michigan City, Indiana. 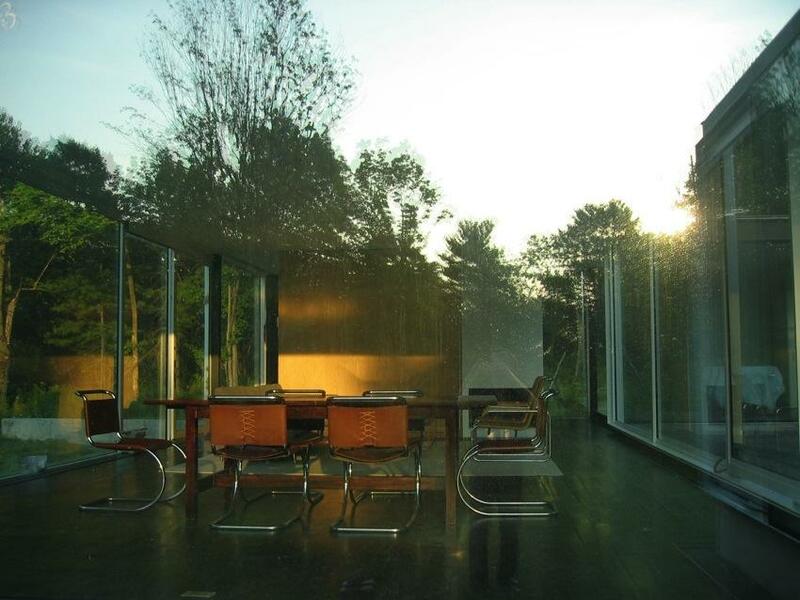 The residence was completed in 2008 and was designed for the Coffou family as a natural retreat from the hustle and bustle of the city of Chicago. 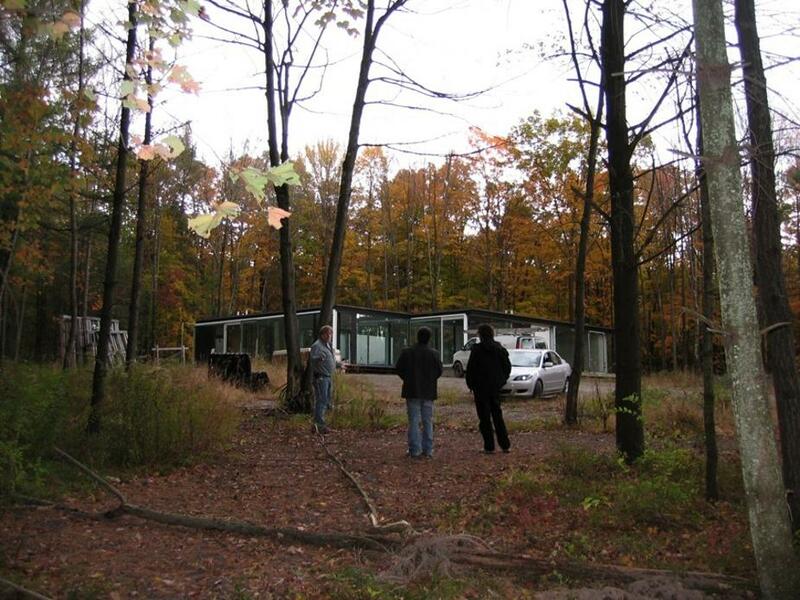 The northern shores of Indiana have long been a destination for those looking for a reprieve from city life, so the site was a natural selection for clients looking for a sense of privacy. 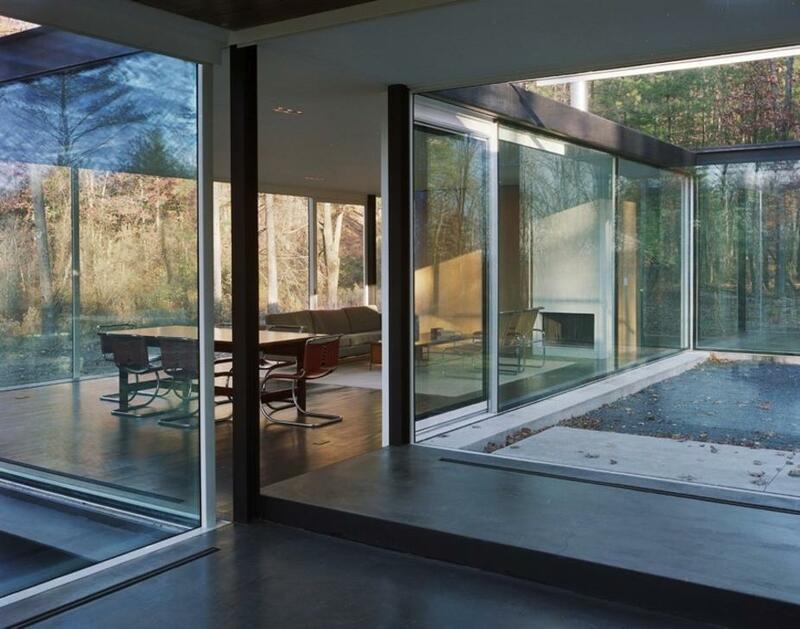 After selecting a site that met their needs, the clients sought out Brininstool, Kerwin, and Lynch to design a modest and simple residence that capitalizes on the fantastic natural views of the site which included Lake Michigan to north and pastoral views to the South. 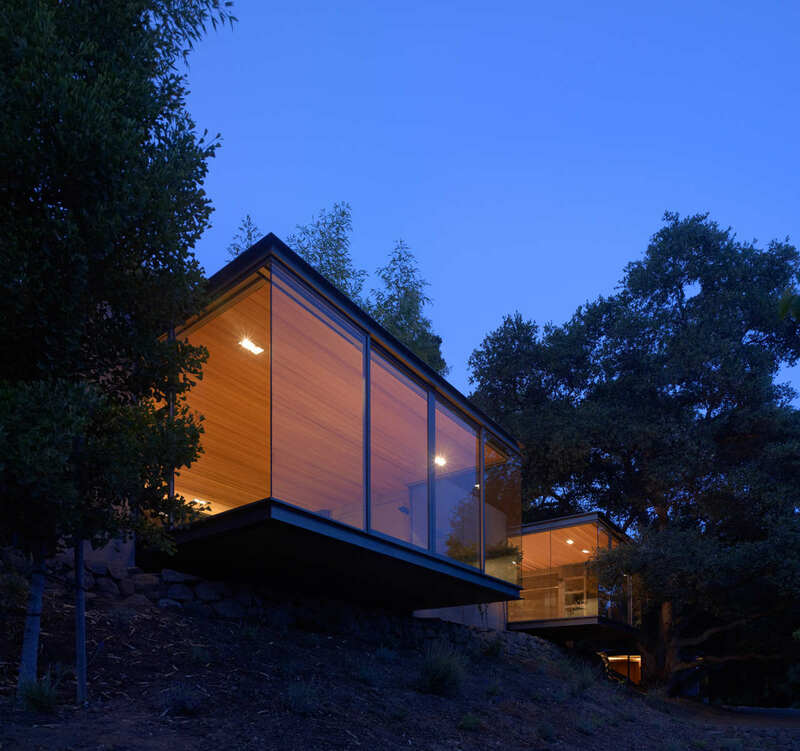 These diametrically opposite view opportunities resulted in two distinct architectural responses — the cottage was designed as a simple structure with a horizontal rain screen constructed of red cedar slats to privatize the northern entry and the southern façade is a wall of operable glass. 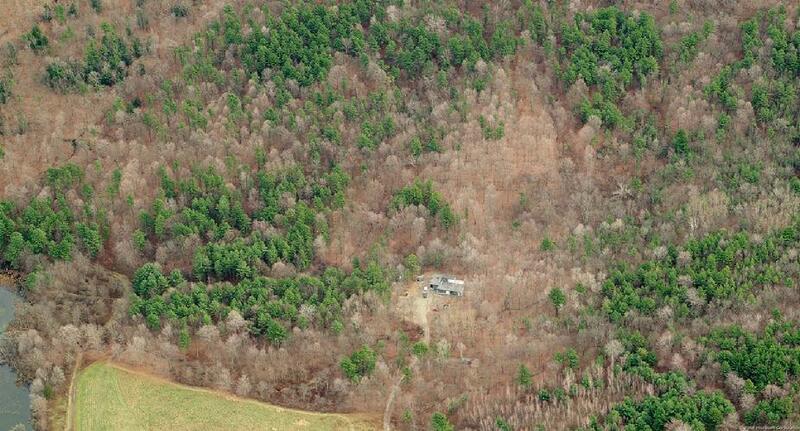 Not only does this approach maximize the desired pastoral views, it also maximizes solar gain in the winter. 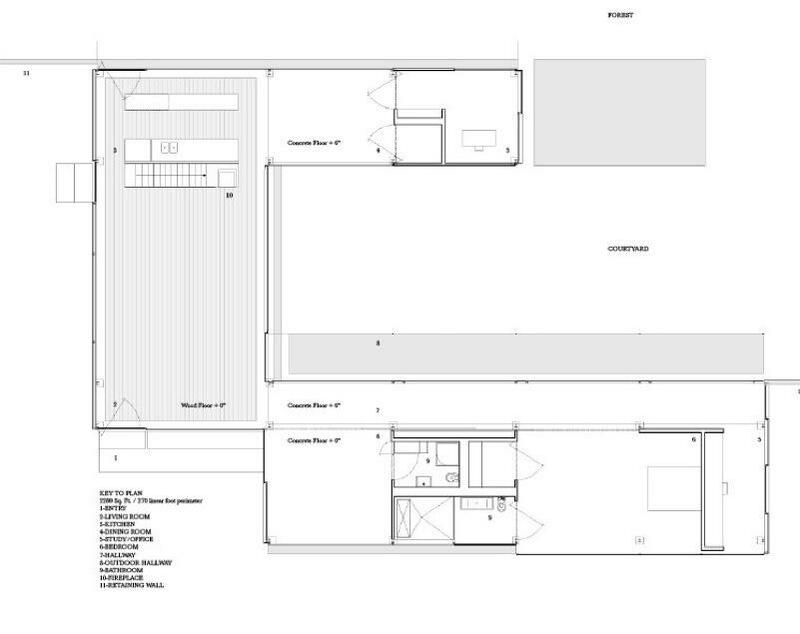 In keeping with the simplicity of structure, the floor plan of the 3-bedroom Coffou Cottage is logical and organized. 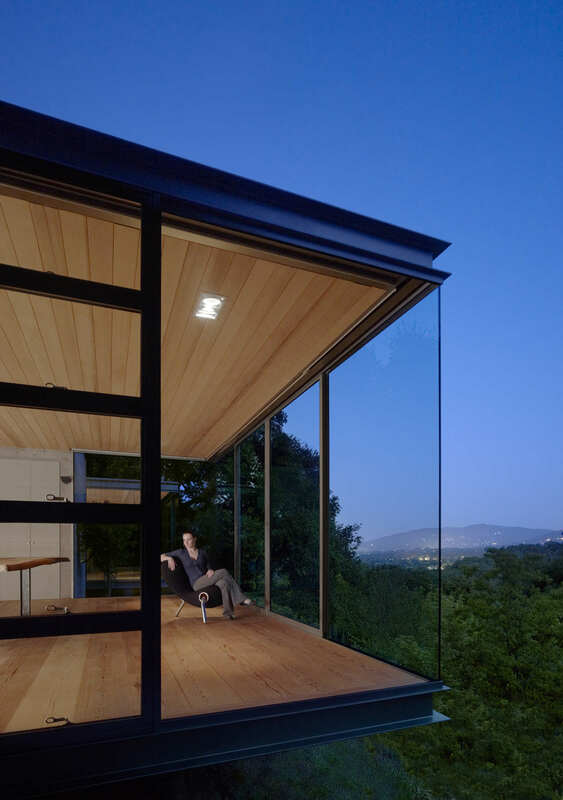 The public living spaces (kitchen, dining, and living areas) are arranged as a large open space and frame the views to the adjacent meadow and woods. A traditional hearth fireplace is positioned in the front hallway, effectively separating the public and private sectors of the residence. 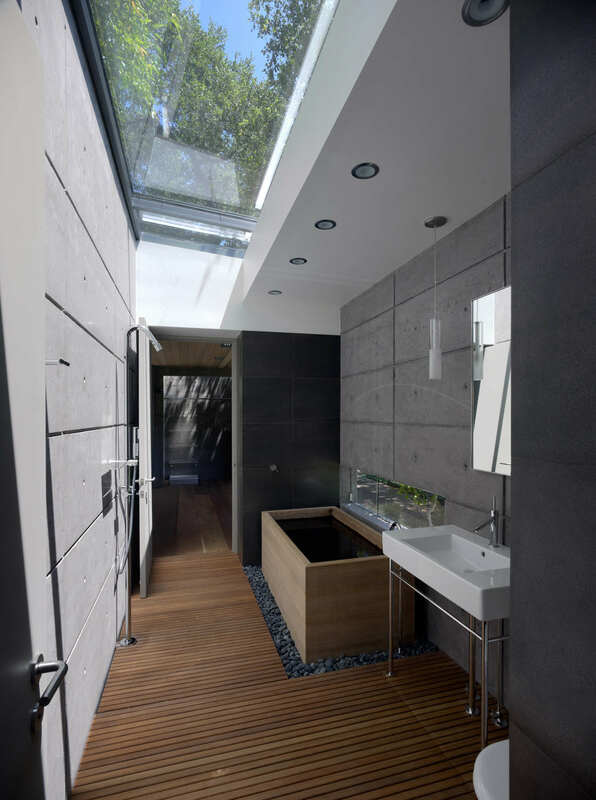 The primary material for the residence (interior and exterior) is Red Cedar, which was used to establish a material warmth and visual interest. 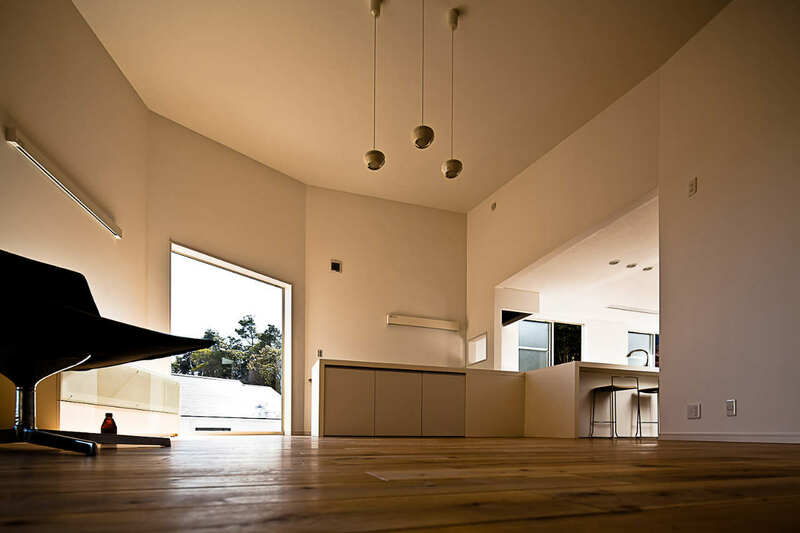 This material selection is amplified by the raw concrete used for the floor, which also serves as the primary heat mechanism through radiant flooring. The house was designed for an unusual homes competition held by De Fantasie in Almere. 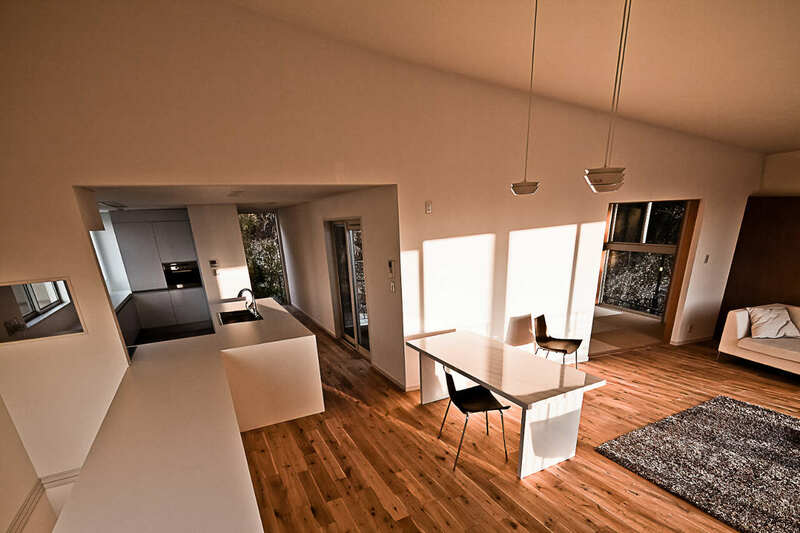 The brief was to design a house without taking into account current building regulations. All prize-winners were awarded a plot of land on loan for five years. This meant that the house and its foundations had to be easy to dismantle. Modest in situ cast-concrete house in Almelo. 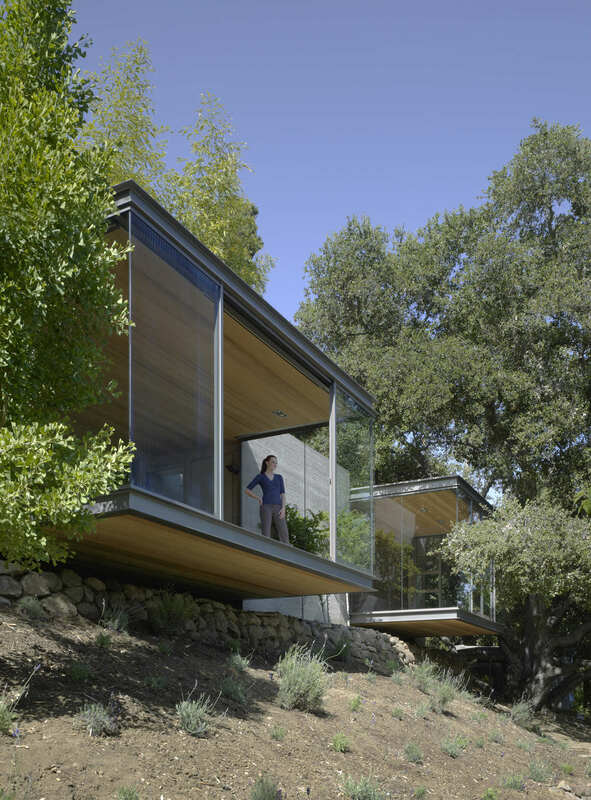 Striking are the strategically positioned wall and roof openings, which optimize the view from the house and establish a special lightfall in the dwelling. 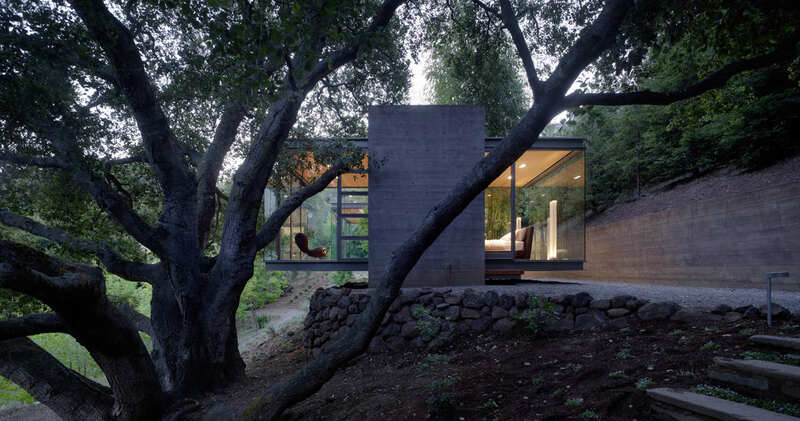 In addition, the house has an internal logic, combining intimacy and spaciousness in a remarkable way. The house is located in the newly developed residential area ‘Hegeman’ in Almelo. Within this plan, 9 lots where available for free sale. These plots are well positioned within in the district: adjacent to the canal, with a clear view of woods and meadows. Houses on these lots should to be unique and innovative, with great architectural quality. The plot acquired by the client is located along a green plot which is kept open, creating a vista from the residential area behind the plots to the surrounding landscape of hedgerows, fields and canals. 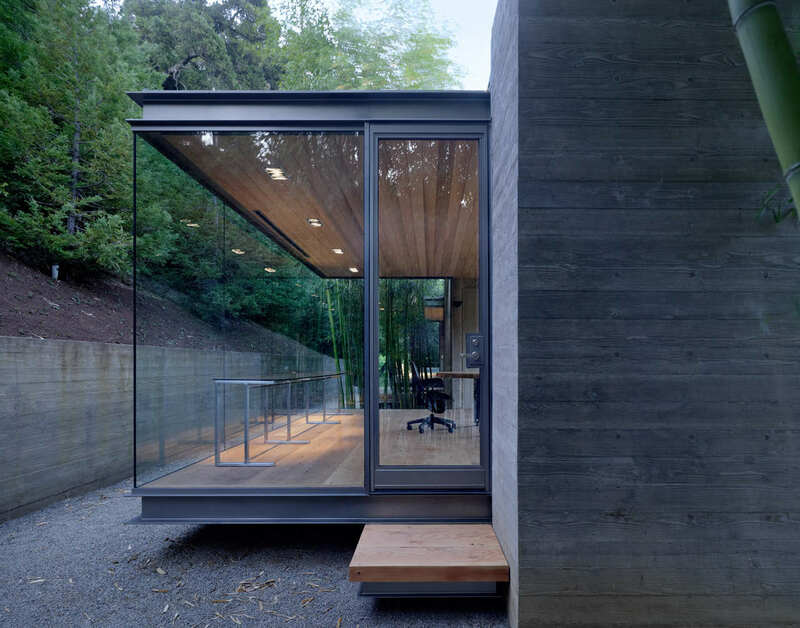 During the first visit by the client to the architect, they proved very taken with the in situ-cast concrete work office of the architect. 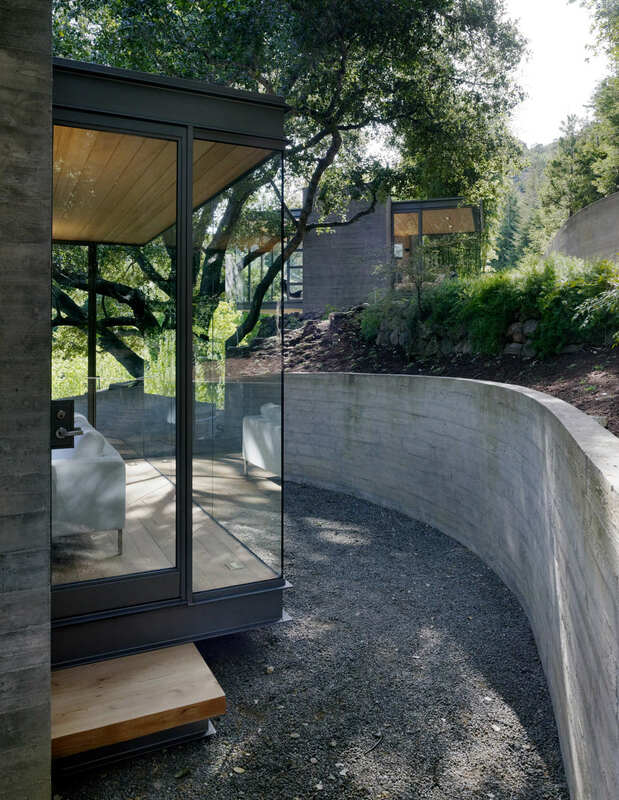 This led us to design a concrete dwelling: spatially strong, with an aesthetic minimalism put through to the last detail. 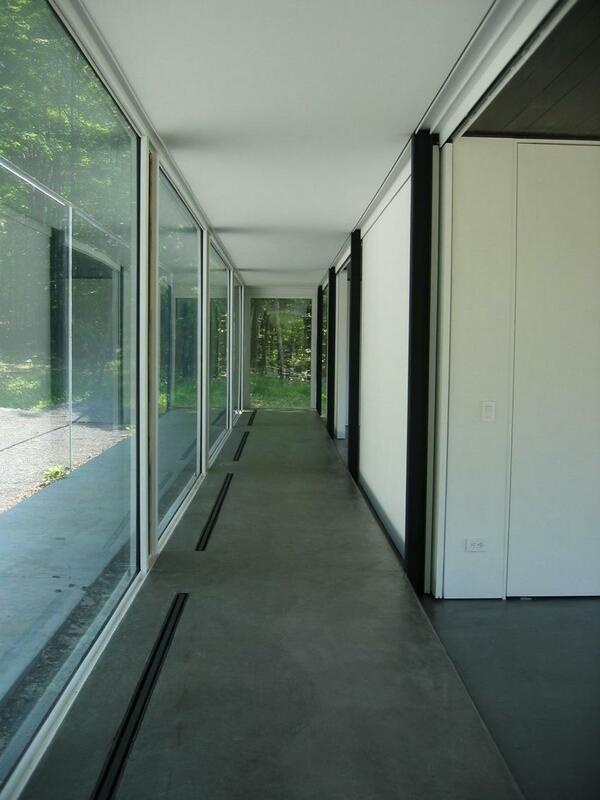 Strategically rainwater drains, piping and electrical wiring were eliminated from sight, resulting in an almost Spartan and graphical appearance. Knowledge and experience of in situ-cast concrete were used in both design and building process. This has led to a series of thoughtful and ingenious details. 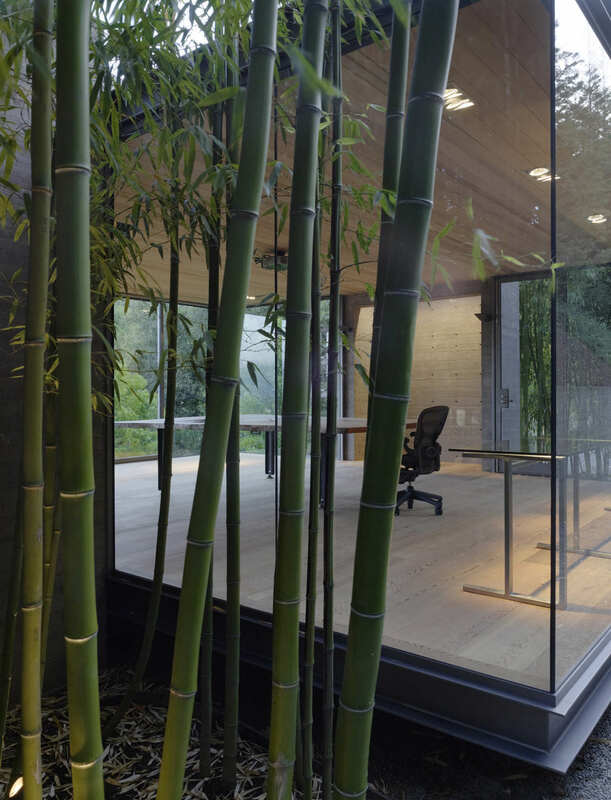 Also the building process was well controlled and directed by Van der Jeugd Architecten. 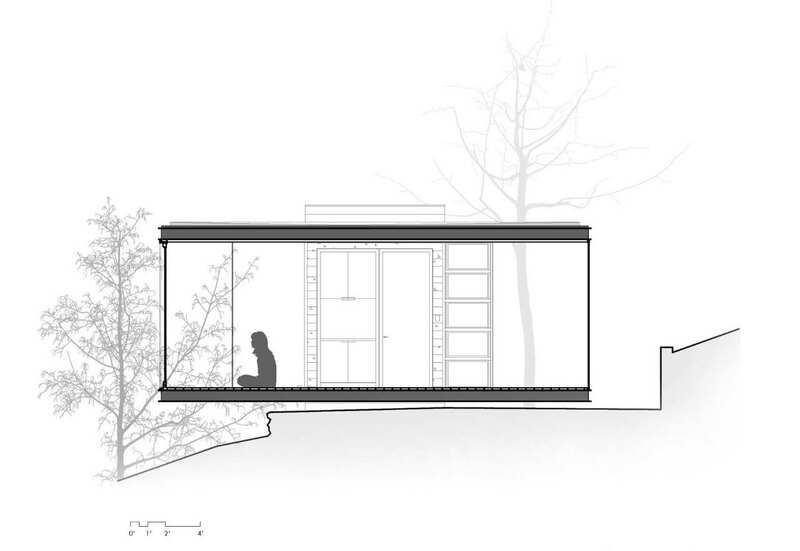 The dwelling was tailored to the needs of the client and the specificity of the location. When organizing the agreed housing program, the particular views and the specific light fall were of importance. This has led to a three-storey dwelling house and four specific spatial levels. 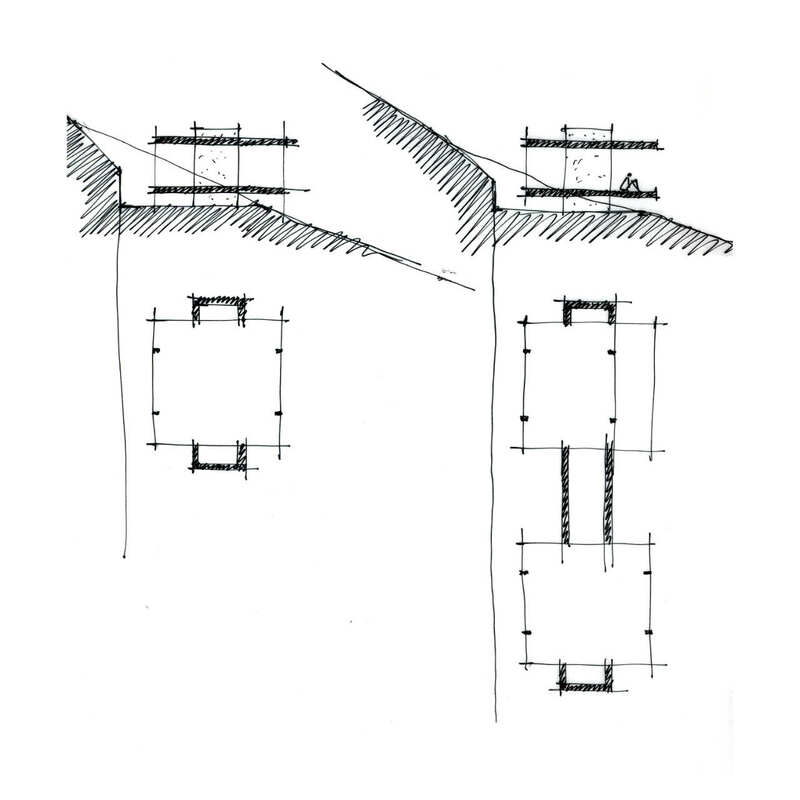 The design of the ground floor (split level) is such that a series of area’s were created with its own character, spatially and visually in contact with other area’s: intimacies with a minimum of visual and spatial separation. Much care was taken to the staircases and outdoor spaces. 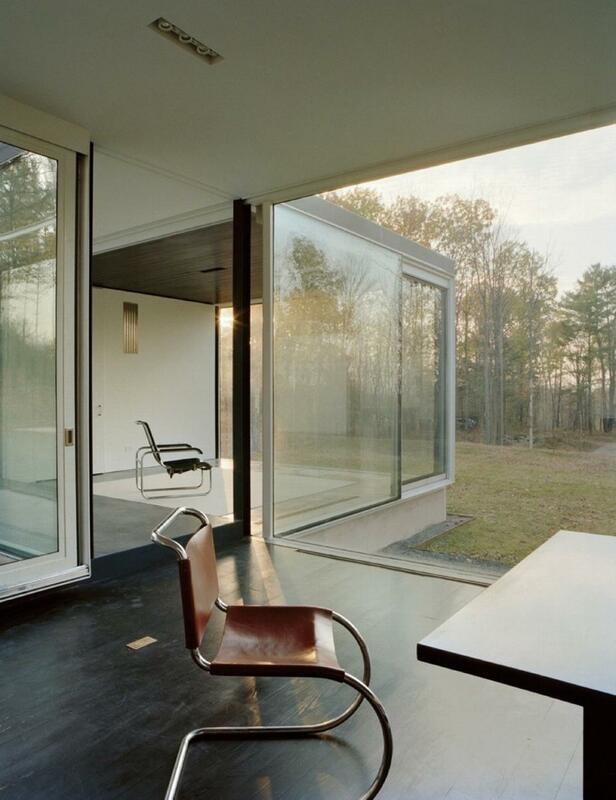 Daylight openings are strategically positioned in the house, optimizing the experience of light and space. 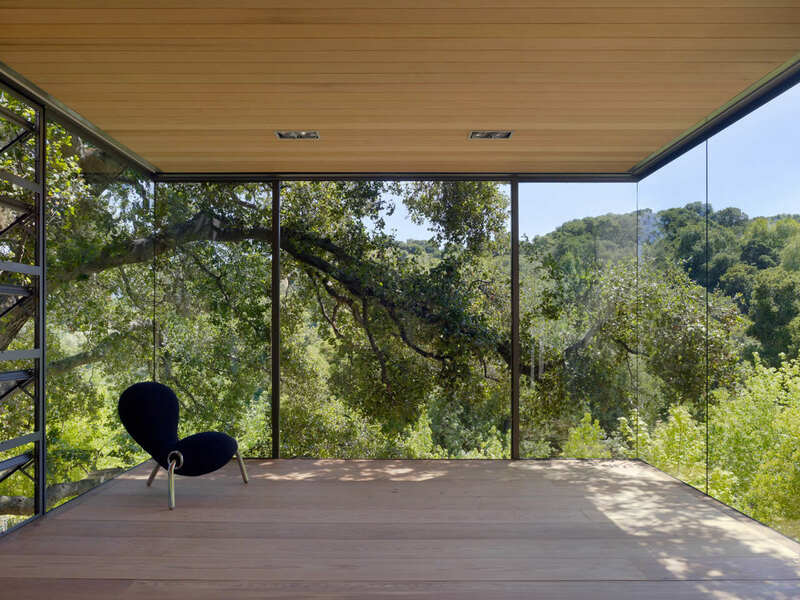 The balconies and outdoor spaces are positioned in such way that all the interesting views can be experienced, and are important in the appearance of the house. 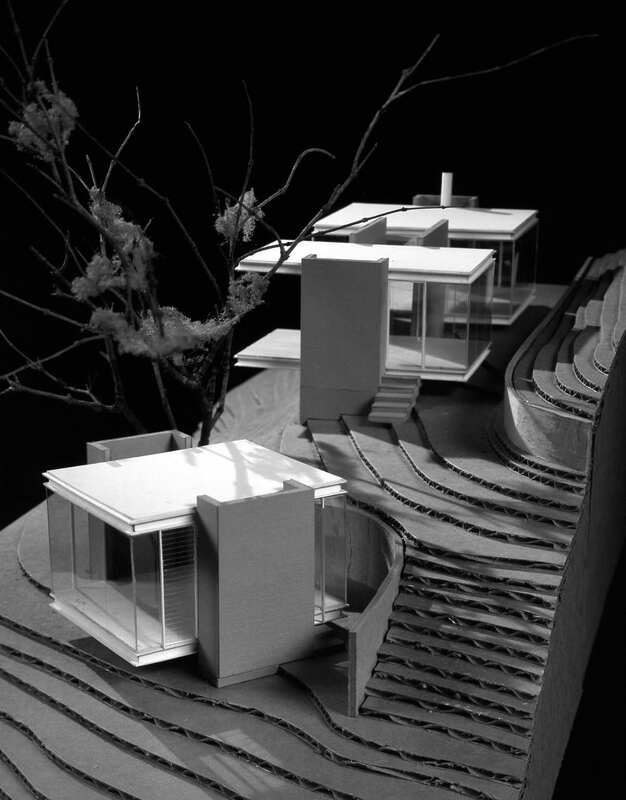 Meyer House is more than one dwelling. 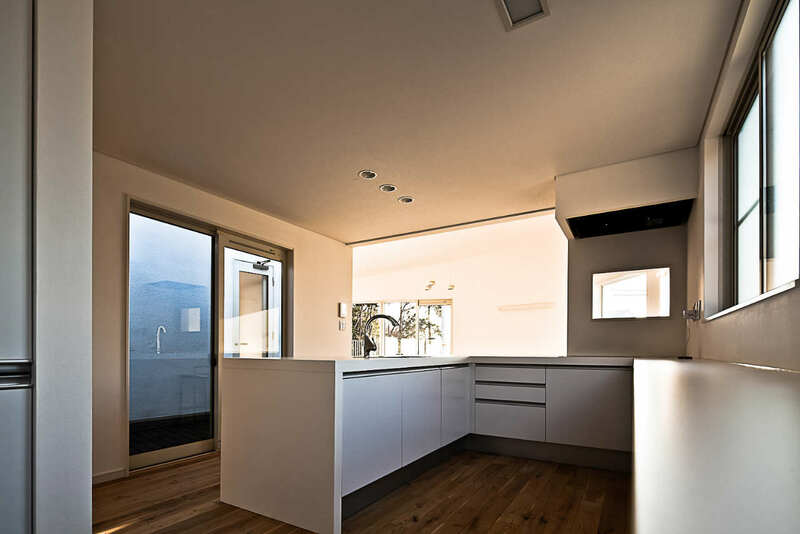 It is a modest but extremely life-proof living machine, which actively enriches the everyday experiences of its residents, increases the quality of the site and particularizes a sense of space. 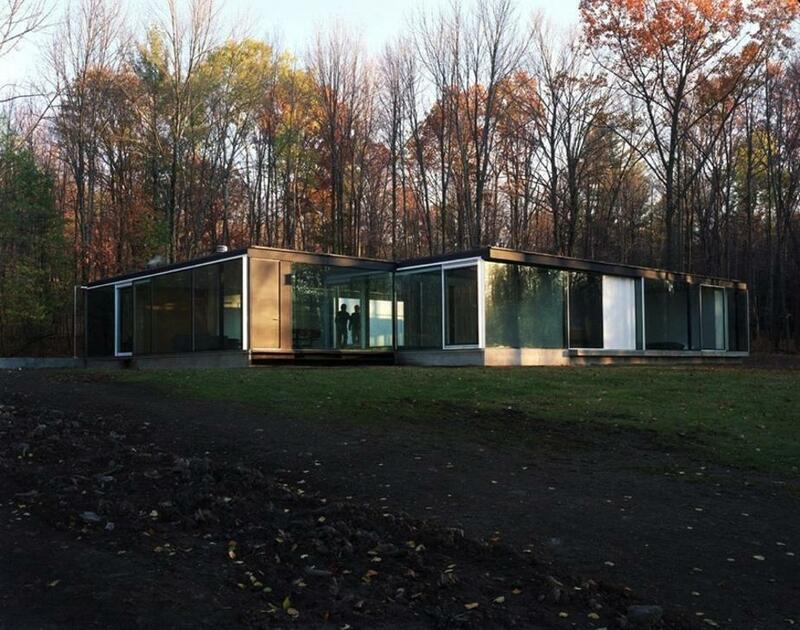 The Ghost Architectural Laboratory is the research facility of Mackay-Lyons Sweetapple Architects Limited. 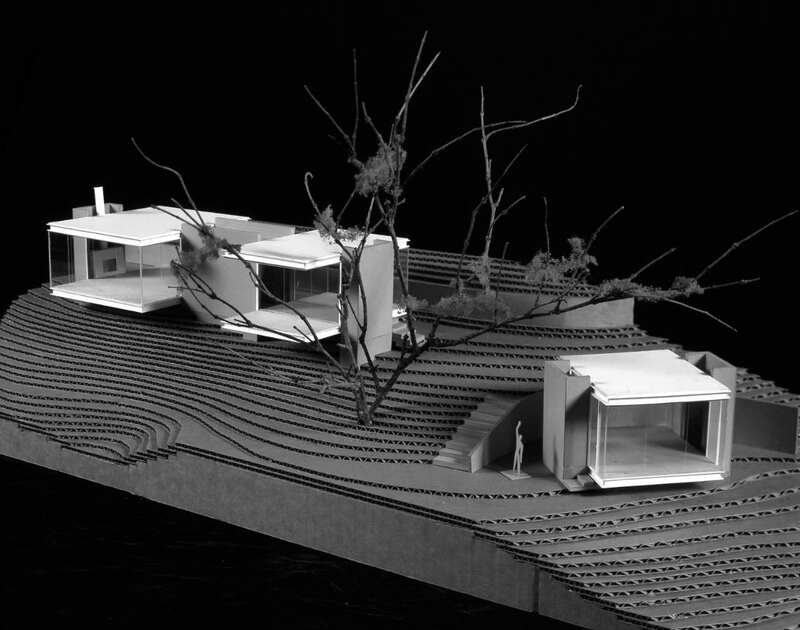 It is an education initiative designed to promote the transfer of architectural knowledge through direct experience – project-based learning taught in the master-builder tradition – with emphasis on issues of landscape, material culture, and community. For two weeks every summer builders, students, engineers, architects, and professors converge on Mackay’s property to partake in a design/build intership. The one featured here is Ghost 7, the first permanent Ghost project. Ghost 7 provides lodging for future Ghost participants—an optimistic vision of longevitiy for the project and for the site. 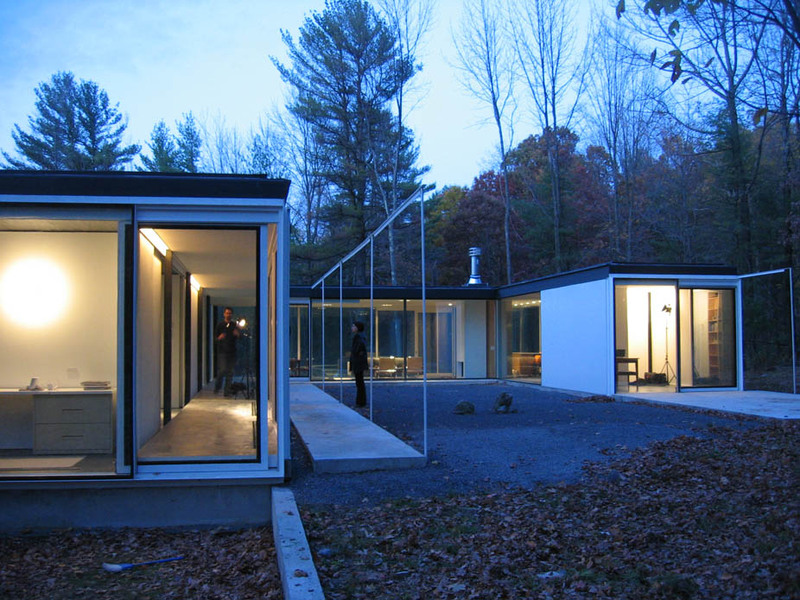 While offering refuge in the landscape, Ghost 7 is a perforated, less-defensive version of the archetypal courtyard form of habitation. 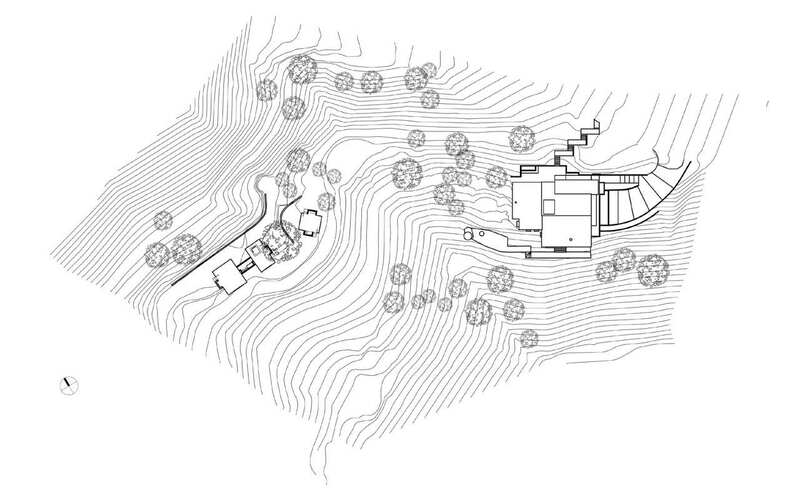 As a result, the landscape percolates through the scheme. The siting geometry is drawn from the structural grid of the Ghost 5 project opposite. 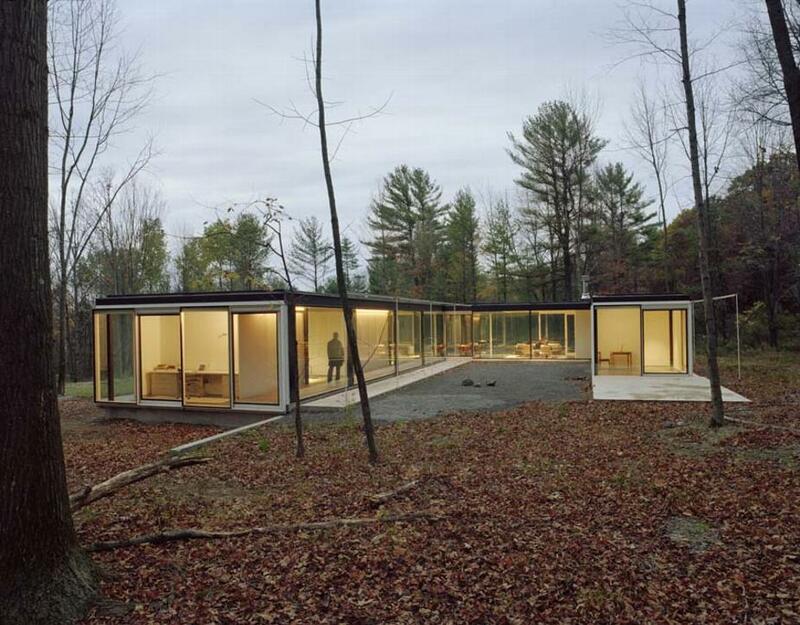 The four resulting structures can be described both as cabins and as pavilions. 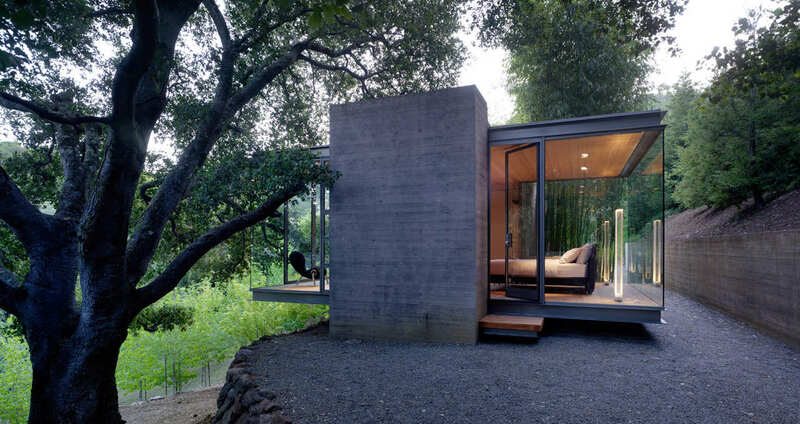 They are cabins by way of their limited size (720 sqf) and their modest means; they are pavilions by their ambition to create a rich range of spatial experience within a modernist free plan within the landscape. The series of Ghost 7 buildings, with tight spaces between, is based on the precedent of a collection of a particular, yet typical, group of closely space Nova Scotian fish sheds. 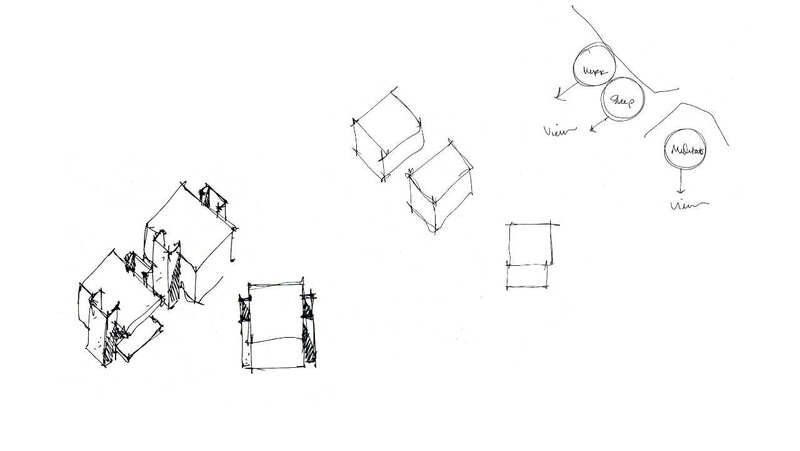 In the manner of Louis Kahn, the parti consists of a “servant box,” wrapped by a larger “served shed.” The servant box contains the sleeping areas, bathroom, kitchen, mechanical services, and balcony; the served shed houses the gathering space. 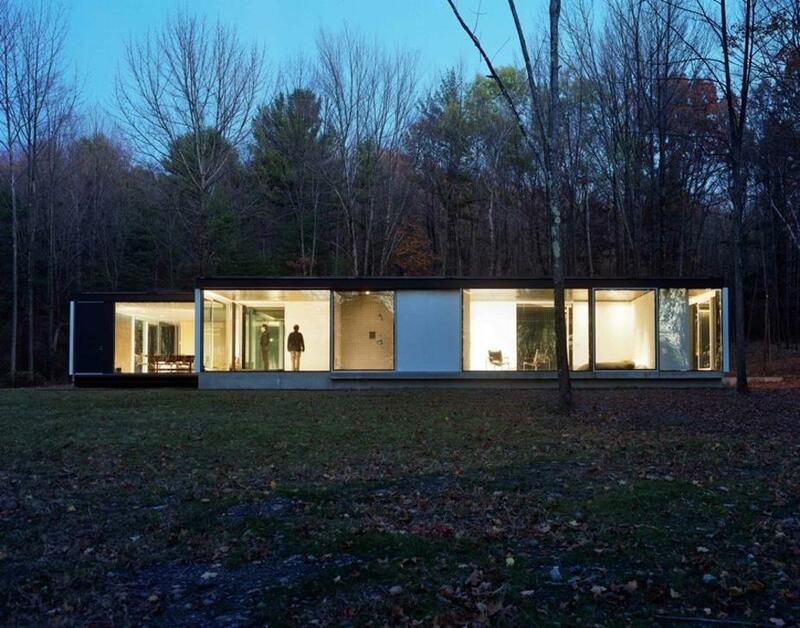 The box is a finished and heated retreat clad in vertical boards while the shed remains raw and unheated and clad in eastern white shingles four inches to the weather. The post foundations result in a minimum impact on the land. Prefabricated built-up wood trusses the loads into the foundations. The envelope consists of a rough-sawn wood two-by-four stud frame. The metal roofing is corrugated Galvalume. 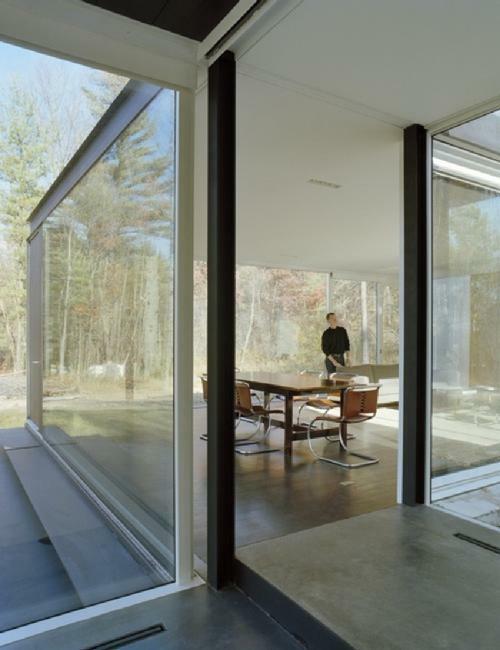 Architects: Julie Snow Architects, Inc.